If you are interested in having your portrait framed, I offer a selection of Museum Quality Wood Frames in many finish options. I am always happy to recommend a frame that would best suit the portrait of your pet. Keep in mind, if you are interested in a custom frame it takes 2-3 weeks to be made and sent my way; ordering a frame when you have approved the digital mock-up is advised. 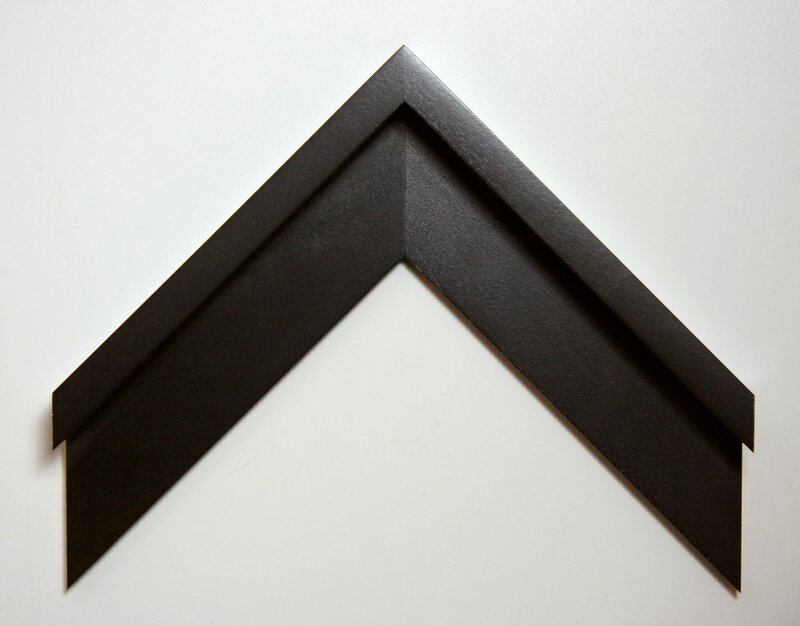 When I start painting or drawing your portrait, the frame will be in the works as well. Please have a look below and let me know your preference. The example above shows Snickers in a Thin Floater Frame. He is framed in Ash Wood with a Black Finish. The wood texture on Ash is very prominent and went well with his black stripes. The example above shows Miss Pearl in a Thin Floater Frame. The client and I chose a Cherry Wood with a Dark Walnut finish. The warmth of the wood and finish brought out her eye color and balanced out the cool blue of the snow. The example above shows Olive in a Medium Floater Frame. The client and I chose a Maple Wood with a Charcoal finish. The dark and warm tones of the finish went well with Olive's tortoiseshell patterns. The example above shows Bridger in a Wide Floater Frame. The client and I chose a Cherry Wood with a Dark Walnut finish which meshed well with the background, and helped focus on Bridger's classic style portrait. The example above shows Six in a Thin Frame. He is framed in Walnut Wood with a Clear Lacquer Finish. Walnut has a beautiful texture and warmth complimenting the paper and texture of the drawing.